This course is designed to further the communication partners ability to implement the Language Acquisition through Motor Planning approach at different language stages and across environments. The language structure of the LAMP Words for Life language system and use of features to support language learning will be explored. Participants will receive some hands-on time and are encouraged to bring their own device (Accent or iPad with WFL). Discussion will include assessing current language level, setting goals for developmental progression, and analyzing data logging. The presenter will cover a variety of strategies and supports to support language development such as expanding vocabulary in natural environments, modeling, teaching the motor plan, and how to use aided language input. Videotaped sessions will be used for group discussion about strategies that work and common mistakes. Suggestions for language development in school settings will also be addressed. Previous attendance at a 1 day or 1.5 day Center for AAC & Autism LAMP Workshop is required to register for this course. Due to the hands on-training this workshop offers, seats are limited. Teresa Andrews is a speech-language pathologist employed as the Project Manager in the Infant Communication Lab at the University of Nebraska-Lincoln. She has been in this position since a move to the Omaha/Lincoln area with her family in 2014. In this position she conducts research with children in various stages of infancy to determine warning signals for difficulties with speech, language and social communication in later ages. Before moving from Colorado she spent much of her 15-year career working in early intervention specializing in augmentative communication and autism. She worked closely with families to provide AAC services to children with complex speech and language needs ages up to the age of 20. Teresa has also worked with The Center for AAC & Autism as a LAMP Trainer since 2008. Teresa received her undergraduate degree from the University of Northern Iowa in 1995 and her master’s degree from the University of Nebraska-Lincoln in 1997. 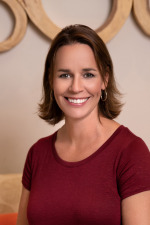 She maintains her certificate of clinical competence from the American Speech and Hearing Association as well as her Nebraska state license. Teresa is dedicated to providing quality speech and language services to children and families across the country. Financial: Teresa Andrews is contracted by The Center for AAC and Autism. Non-Financial: Teresa receives free equipment from the Center for AAC and Autism to use for her presentations. This course is offered for 0.5 ASHA CEUs (Intermediate level, Professional area).